The generation of electrical energy using fuel cells continues to develop into a significant area with diverse application potential in electrical engineering and automotive technology. 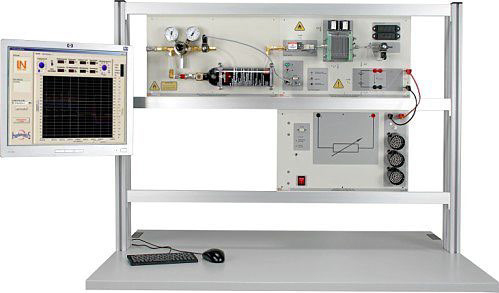 The training panel system permits a safe experimenting environment in connection with hydrogen and fuel cells. At the same time, it permits interesting investigations and is well suited for both practical lab work as well as demonstrations. Animated theory, experiment guidelines and information including results are realised using the Interactive Lab Assistant Software.